You won't easily find a more versatile or prettier garden flower than lilies. They come in a multitude of colors, shapes and sizes—some fragrant, others not—in either single- or double-petal forms. Choose from tall varieties that can grace the back of a sunny summer border, or select a dwarfed cultivar that looks fantastic along a winding walkway or garden path. Whichever type of lily bulbs you plant, you'll be blessed with spectacular flowers the following summer, and every year after that. Lilies are notoriously good naturalizers that increase in beauty and bloom as time goes on. Planting InstructionsPlant with 4" of soil above the bulb. Prefers well-drained soil. Incorporate bulb booster or other high phosphorous fertilizer when planting. Soil RequirementPrefers well-drained soil but will tolerate heavier soils. 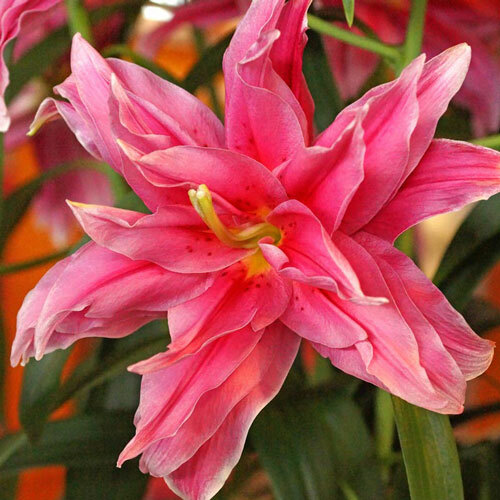 Unique CharactersticsPart of the 'Roselily' series, a breeding group we have been very impressed with, 'Elena' is by far the most uniform pink we have yet seen. Lightly spotted in the center with just a hint of yellow, the fluffy pink blooms of 'Elena' are as good as it gets. 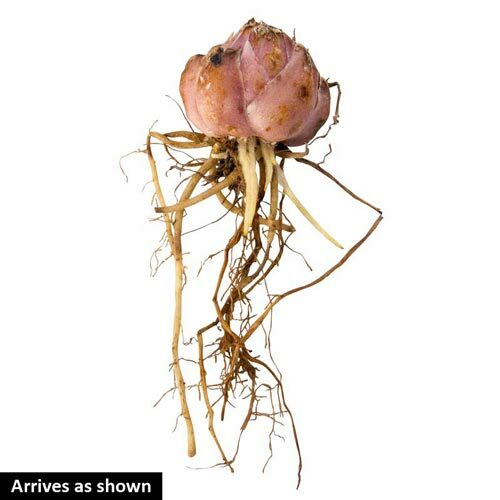 These bulbs are in very short supply and are coming directly to us from the breeder/grower for 2012 spring delivery as our crop is not up to numbers yet. 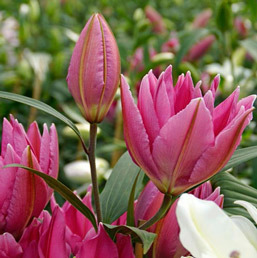 Classified as "large flowering size bub", these range from 14/16 cms and all have flowered in the past growing season. 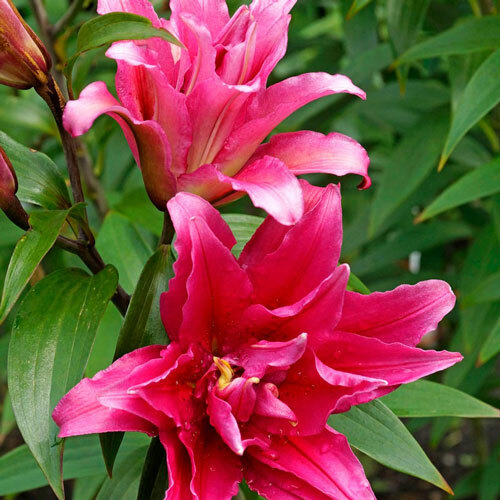 This July bloomer carries the familiar Oriental lily fragrance and grows from 3 to 4 feet when settled in.